The influential Catholic Church has questioned the official results of the Democratic Republic of Congo’s controversial presidential election. Opposition candidate Felix Tshisekedi was named the winner on Thursday. However, the Church, which posted 40,000 election observers, says the result does not match its findings. The runner-up, opposition candidate Martin Fayulu, has told the BBC he will mount a legal challenge against the official vote count. He accused Mr Tshisekedi of reaching a power-sharing deal with the ruling party, a claim the veteran figure has denied. There are fears the result could trigger unrest, with at least two people killed in the western city of Kikwit on Thursday. Two police officers were also killed, and 10 people were wounded, AFP news agency reports. However, most parts of the country appear to be calm. Why is the result controversial? If confirmed, Mr Tshisekedi will be the first opposition challenger to win since the DR Congo gained independence in 1960. However, runner-up Martin Fayulu, who is also an opposition candidate, has described it as an “electoral coup”. The candidate from Mr Kabila’s party had initially been expected to win, but ended up finishing third – and is not challenging the results. Mr Fayulu’s supporters say this backs their suspicion that Mr Tshisekedi has cut a power-sharing deal with Mr Kabila. Mr Tshisekedi’s spokesman, Louis d’Or Ngalamulume, said there was “never any deal”. Meanwhile, the Catholic Church says the result given by the electoral commission does not correspond with its own tally, and the French and Belgian governments have also expressed doubts about the result. The church did not name anyone in its statement, and urged all parties to refrain from violence. 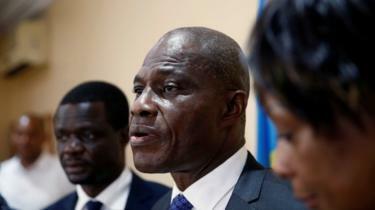 However, three diplomats speaking anonymously to Reuters said the church tallies had showed Mr Fayulu winning. However, the result can still be challenged. Why is the Church so influential? About 40% of DR Congo’s population is Roman Catholic and the church has a wide network of schools and hospitals. It is seen by many Congolese as a moral voice in a country where politics has so often been tarnished by corruption, the BBC’s Africa editor, Fergal Keane, reports. 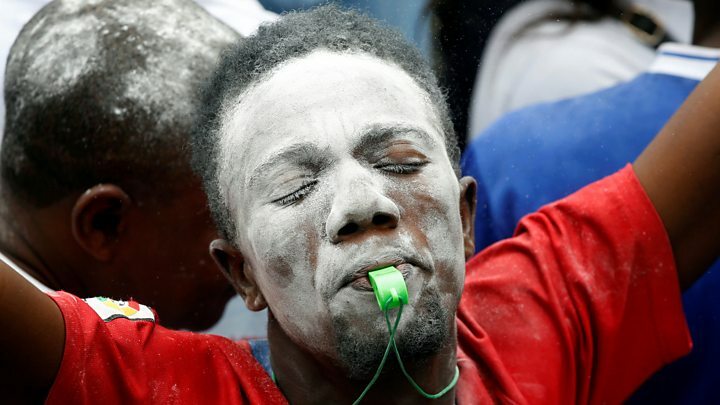 The Church may now be publicly doubting the results but it will be very wary of any public demonstrations, because it knows from the experience of past crackdowns that leading people onto the streets can have tragic consequences, our correspondent adds. The security forces have used live ammunition as well as tear gas and beatings during previous protests. DR Congo is a country the size of Western Europe and Mr Kabila had promised its first orderly transfer of power since independence from Belgium in 1960. 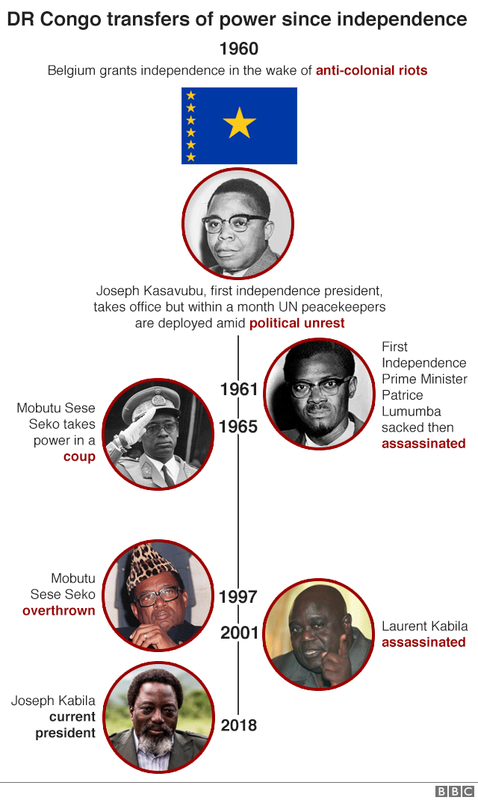 He took over from his assassinated father Laurent in 2001. Elected in 2006, Joseph Kabila secured another term in controversial elections in 2011.